Denise joined AIG in 2008 as an Administrative Assistant within AIG Multinational. In April of 2015, Denise assumed the role of Business Development Manager in the New York Region. In this role, Denise serves as a liaison to a dedicated portfolio of engaged national insurance brokerage firms. Denise leverages the full resources of the firm in the pursuit of coordinating the diversified risk management needs and solutions of AIG’s most complex and sophisticated trading partners. In addition Denise serves as co-chair of the Black Professionals @AIG – Employee Resource Group, comprised of over 250 members, providing oversight and strategy towards the development and execution of a select program calendar of events and colleague engagement. In addition to her roles at AIG, Denise has also served as the Communications Chair for the National African American Insurance Association, and has volunteered with the “I Have a Dream” Foundation in Ravenswood, New York, and the New York Police Athletic League. 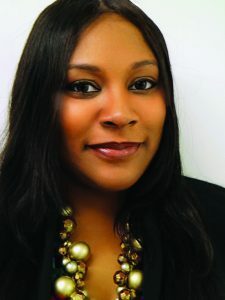 Denise received her Bachelors of Arts from New York University with a major in Music Technology and has received a Certified Project Manager Designation from the Project Management Leadership Group, Inc.